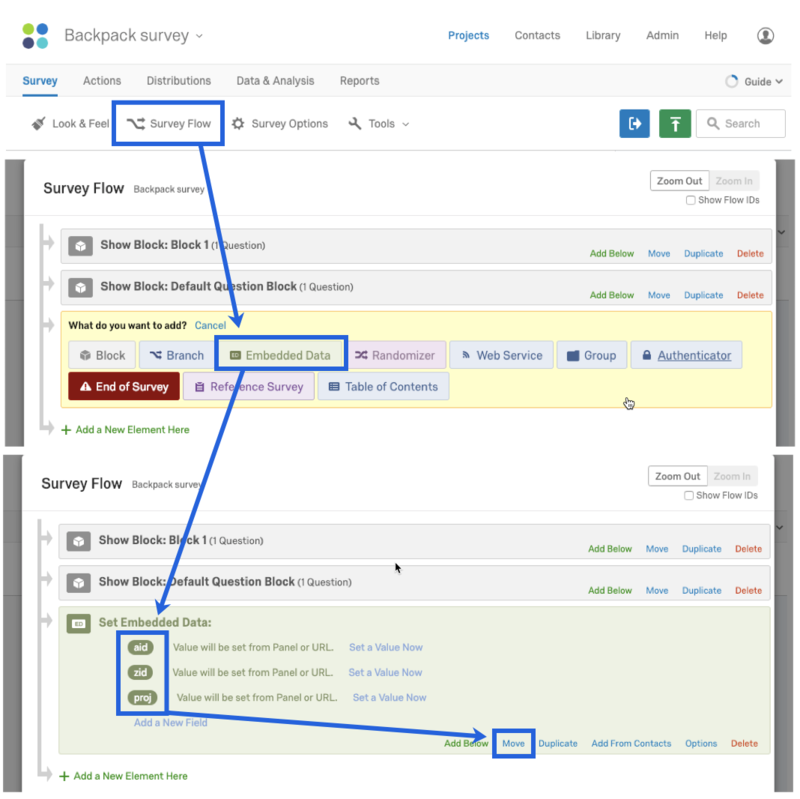 When we send a respondent to your survey URL, we tag on embedded data that helps us identify the respondent when they are redirected back to Centiment at the end of your survey. 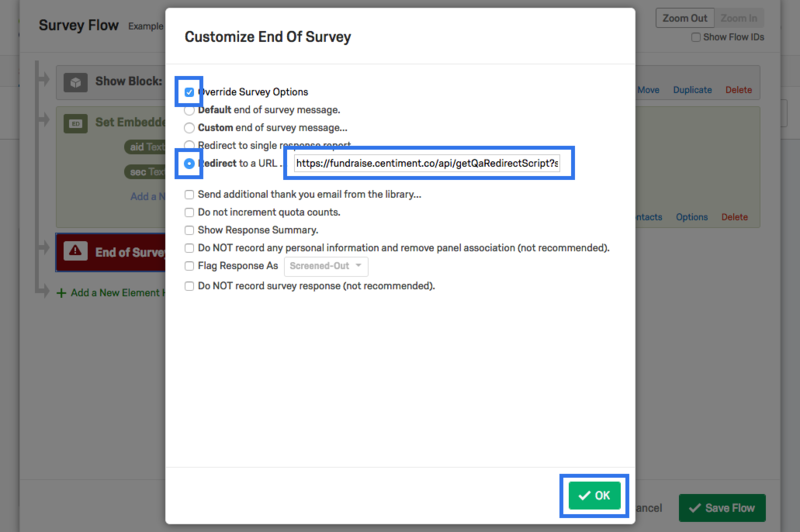 Set up a Centiment redirect URL at the end of your survey. This ensures that only participants who complete your study will be compensated by passing the variable data listed above back to Centiment. Step 3: Need to disqualify respondents? By collaborating with Centiment, you enable us to have full access to only this specific survey. 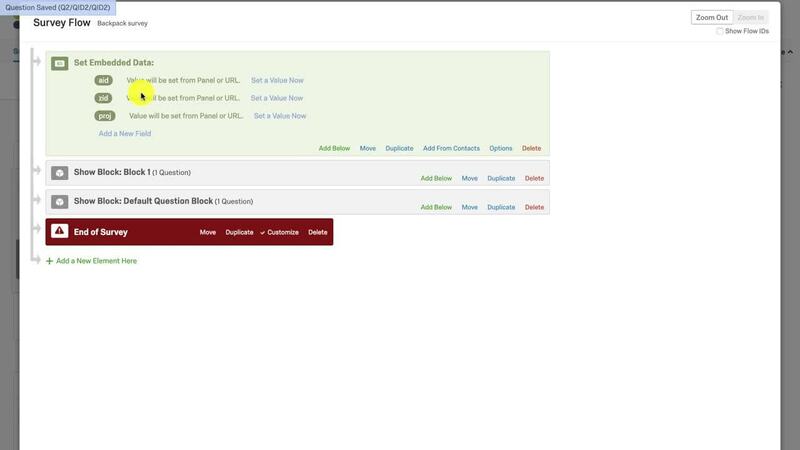 This helps us better manage your data collection as we can investigate the build if issues arise during data collection.